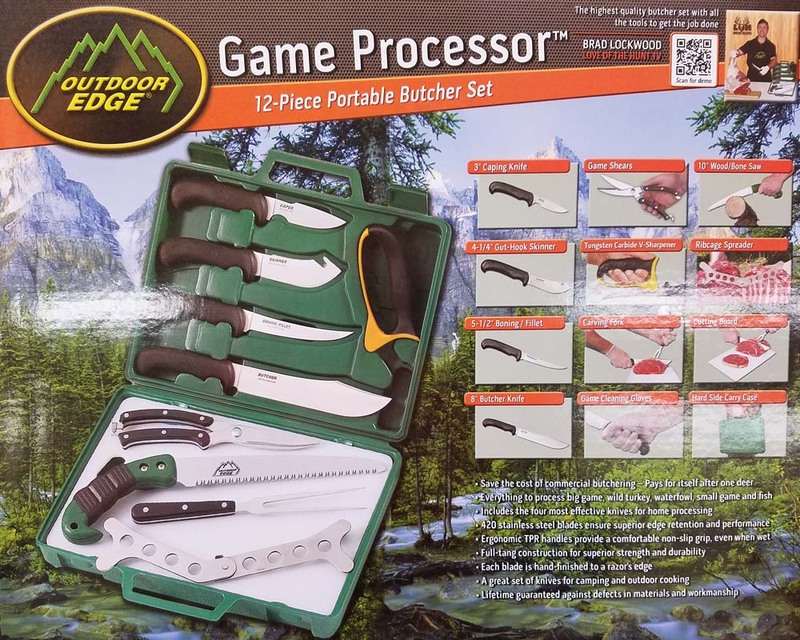 Everything you need to process big game, wild turkey,waterfowl, small game and fish. Includes the 4 most effective knives for home processing made with 420 stainless steel to ensure superior edge retention and performance. TPR handles provide an ergonomic, comfortable non-slip grip, even when wet. Knives are full tang construction for superior strength and durability. Blades are hand finished to a razor edge. A great set of knives for camping and outdoor cooking.